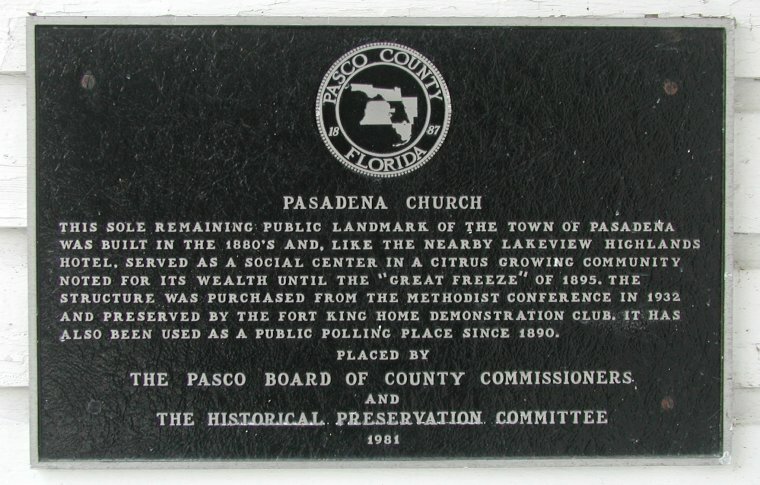 PASADENA CHURCH HISTORICAL MARKER. The Pasadena Church is located at 36137 Clinton Avenue (CR-52A) on the south side of the road, approximately 0.8 miles west of the intersection of Clinton Avenue with Fort King Road (CR-41), and 1.8 miles west of the junction of Clinton Avenue with US 301/98 south of Dade City. The plaque is mounted on the wall near the entrance door.